Welcome to the Ray's Place web site. 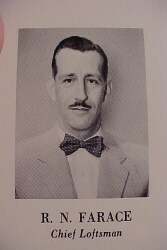 I am Ray Farace, born May 30, 1916 in Philadelphia, PA. Graduated South Phila. High for Boys June 1935. Attended Drexil Institute of Tech. Also completed Industrial Management and Public Speaking courses. Aircraft Engineer for 18 years during which time I was Chief Loftsman for two companies, Chase Aircraft and Kaiser Metal Products. Started my own business with Sporting Goods and Electronics retiring to Florida in November 1971 after 18 years in business.
. Since then I have made 50 or 60 Lamps, most of which are in the family, and hundreds of Sun Catchers. I recently tried Craft Shows where my work was appreciated and gave me the idea to share it here for all to see. 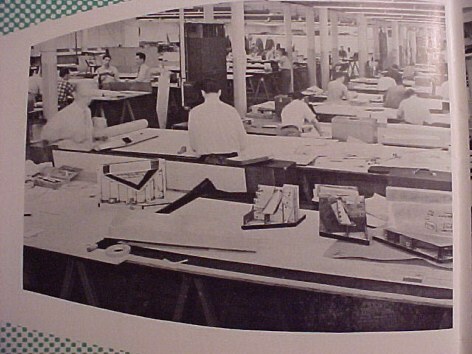 The picture on the left is from the Kaiser Metal Co. 1952 brochure.